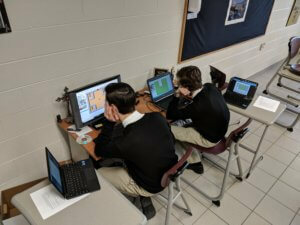 EC students in Mr. Mileski’s videogame development class have begun their final exam project using RPGMaker MV. Mimicking the videogame industry, Mr. Mileski has given them a set of requirements to meet by their deadline of December 17. They are to make a working videogame based on their own plotline and design. “I am having a lot of fun designing the game,” said junior Nick Wojciechowski. 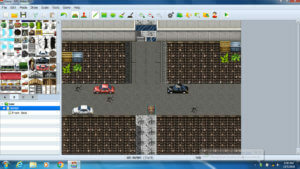 Once they have completed their game they will compile and port it to the Android operating system where it will be playable on any Android based phone or Chrome OS based computer. More updates to come as the students complete their projects.